Jacky Ickx finally steered his Ferrari to victory at the Austrian Grand Prix, ending a run of four successive wins for championship leader Jochen Rindt. It was also Ferrari's first success for two years and marked a welcome return to form with Clay Regazzoni taking second place, a mile ahead of third-placed Rolf Stommelen. 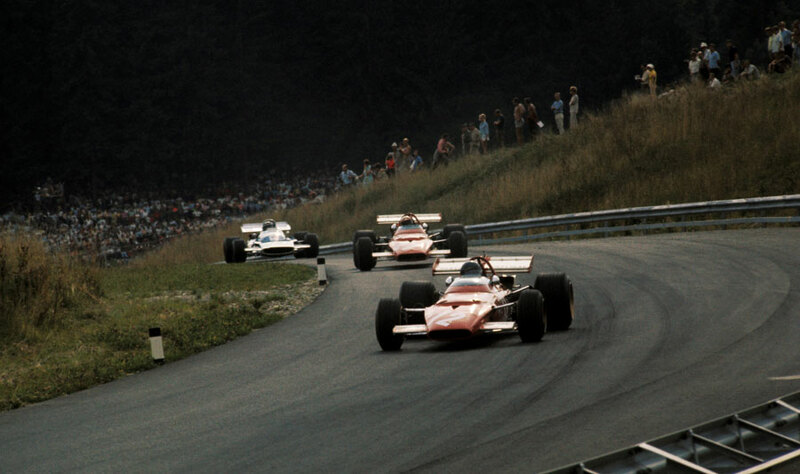 Practice was memorable for a close call involving Chris Amon and Denny Hulme when a deer jumped the fencing at the Österreichring forcing both to swerve to avoid it. Officials responded by calling in local hunters to patrol adjacent woods and shoot any animals which came within 500 yards of the track. Rindt took pole and was the odds-on favourite to continue his dominance in front of his home crowd, but he made little impression from the off and by the third lap was back in sixth and he eventually retired on the 21st lap with engine trouble. His early withdrawal led to swathes of the 100,000 crowd heading for the exits. Regazzoni took advantage to move into an early lead, and along with Ickx and Jean-Pierre Beltoise had soon built a decent gap on the chasing pack, although Beltoise's late pit stop allowed Stommelen in a Brabham through to third. A large Italian element in the crowd poured onto the track at the finish and mobbed Ickx and Regazzoni, ripping their overalls in a scramble for souvenirs. The pair eventually sought refuge in the team's motorhome which had to be encircled by a cordon of policemen to keep fans at bay.